One fact and one imperative appear to be on a collision course. Federal spending will decrease in the coming years, yet the importance of boosting our nation’s science and economic competitiveness cannot be overstated. How do we reconcile the two? The traditional language used in such circumstances is to seek more bang for the buck. But even that’s not good enough anymore. The federal budget has to deliver the “best” for the buck, meshing the most efficient use of taxpayer resources with the most effective structure. That is particularly true where the federal government works with businesses, workers, communities, universities, and state and local governments to grow our economy. 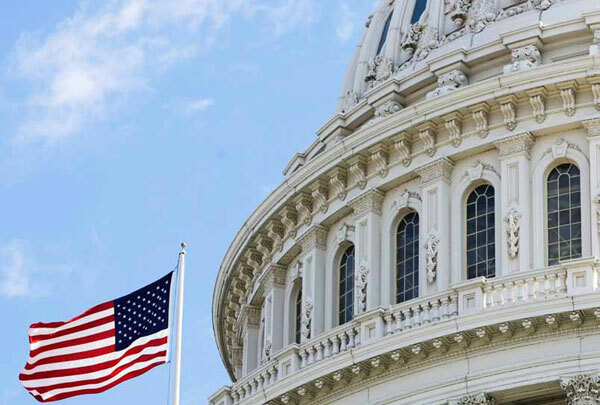 The historical evolution of federal functions and the jurisdictional scope of congressional committees no longer justify the current grab-bag organization of trade, technology, economic growth, and workforce functions in our federal government. Today, there are more than 3,000 federal assistance programs that provide grants, loans, credit enhancements, and financing and technical assistance to firms, educational institutions, nonprofits, and local governments to pursue job-creating activities related to science and economic competitiveness. These programs are currently administered separately by the Economic Development Administration, Employment and Training Administration, Small Business Administration, Department of Housing and Urban Development, Department of Agriculture, and a swath of other federal agencies. Beyond assistance programs, other federal efforts that affect competitiveness—such as industry contracts, regulatory frameworks, and existing management structures—are equally fragmented. Where federal efforts are focused on general-purpose outcomes, such as export promotion and infrastructure technologies, we suggest that they be placed within the new department to boost their effectiveness. Where federal efforts are specialized and mission-specific but share overlapping constituencies with the new department’s work, we propose the creation of a new “Common Application”—a single point of access to related federal programs—to ensure that programs also work smoothly across governmental agencies in a manner that is most convenient for their users, such as small businesses and universities. It is a testament to American ingenuity and our talented people, within and outside government, that we get the outcomes that we do from the many disjointed existing efforts. Our science successes range from the sequencing of the human genome to social networking technologies, and our economic successes range from our nation’s leading edge biosciences industries to the job-creating power of new industries proliferating across the Internet. Yet the press of global competition requires that we do better—much better. To its credit, the Obama administration, recognizing the disjointedness of these many different programs, has launched a series of initiatives to harness the best of these efforts into a new national innovation and competitiveness strategy for the 21st century. President Obama has also issued a presidential memorandum instructing agencies to assess possibilities for government reform for competiveness. And already likeminded federal agencies with missions and money that clearly overlap are teaming up to offer competitive grants to develop cutting-edge technologies and the workforce needed to commercialize them in energy efficiency, advanced nuclear technology, and solar-made fuels, just to name a few. These efforts have another common purpose—to tap the comparative advantages of key regional economies and scientific centers of learning so that federal efforts align with the unique competitive strengths of our nation—our bottom-up scientific development and economic engine. These competitive-grant programs offer policymakers some clear lessons on how our federal government can play to the strengths of our scientists, our engineers, our entrepreneurs, our financiers, our experienced workforce, and our eager students at universities, community colleges, and high schools across the country.What’s missing is a federal government structure that also plays to these strengths, is institutionalized effectively, and delivers efficient and competitive federal funding to fuel the bottom-up economic capabilities of our economy. There has never been a U.S. cabinet-level agency like the one we propose. And there has never been a time when it is needed more than it is today. This new department would retain many of the existing functions of the Department of Commerce centered on economic growth and business formation, but would add to their critical mass while reducing redundancies across the federal government. Bringing together key competitiveness functions around trade, technology, training, and economic growth under one umbrella will elevate the effectiveness and the status of the newly created department within the government, and increase the influence of its secretary in the cabinet. Today, national macroeconomic policies are managed by the White House, the Department of the Treasury, and the independent Federal Reserve Board. Mission-specific economic policies find their home in agencies that include the Departments of Education, Energy, Housing, Labor, and Defense, and the National Institutes of Health. But economic growth is not simply a matter of macroeconomic policy plus the sum total of mission-specific policies. The creation of businesses, the hiring and training of workers, and the growth of communities stem as well from opportunities fostered by governments seeking to boost economic growth in all sectors of the economy in all the different parts of our nation. Crafting a new Department of Competitiveness would align federal programs more effectively and efficiently with the realities of our uniquely American competitive strengths. That process can start right now, before legislation is passed, with an executive order that, as explained below, improves the efficiency of current microeconomic policies. And that same goal would be the charge of the new Department of Competitiveness. Any plan to revamp the Department of Commerce must ultimately find a home for the National Oceanic and Atmospheric Administration, or NOAA. A recommendation about the most appropriate location for NOAA is beyond the scope of this report. But regardless of its ultimate home within the bureaucratic landscape, NOAA must maintain its structural integrity and fiercely protect the preeminent role of science in management of our nation’s oceanic and atmospheric resources. Further, NOAA must ensure that its regulatory decisions remain free of undue pressure from external sources. As the conversation about government reorganization continues to evolve, the Center for American Progress’s environment and ocean policy teams will be developing specific recommendations about an appropriate structure for this agency. Similarly, in addressing the issue of what to do with the federal government’s various economic statistics functions, we quickly found that the scope of the question outgrew the space in this paper. One approach, as CAP suggested in its “Focus on Competitiveness” paper, would be to bring the Census Bureau and the Bureau of Economic Analysis together as part of a consolidated economic statistics agency. We asked George Washington University research professor Andrew Reamer to write a separate paper for this series titled “Economic Intelligence.” He makes a number of practical, achievable recommendations to upgrade our national statistics efforts for the 21st century. Uniting these four focus areas—trade, general-purpose technology, place-based economic growth, and workforce training—under one department would increase efficiency and enable the government to more effectively create and implement a truly comprehensive strategy to foster American innovation and economic competitiveness. The result would be more and better job creation and sustained economic growth. We do not assert that the recommendations are unquestionably correct. In particular, we understand that questions of coordination can arise even if functions are managed within the same department; there is no single, perfect solution. But we hope that this paper begins a real dialogue about what it would take to design and implement a coherent national competitiveness strategy insulated from the quadrennial shifting of political fortunes. In the main pages of this report, we detail our vision for this new Competitiveness Department, including an overview of its new functions and an explanation of which existing agencies, programs, offices, bureaus, and programs might be incorporated and why. We then examine how to better network and integrate other mission- specific innovation programs in the departments of Defense and Energy, and the National Institutes of Health, with the new work of the rewired Department of Competitiveness. First, though, here is our proposal in a nutshell. Jonathan Sallet is a partner in the Washington D.C. office of O’Melveny & Myers LLP. Sean Pool is the assistant editor of Science Progress, the Center for American Progress’s online science and technology policy journal.